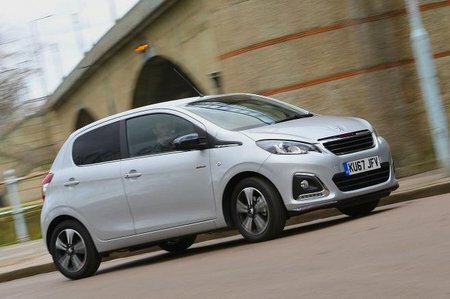 Used Peugeot 108 Review - 2014-present | What Car? What's the used Peugeot 108 hatchback like? City cars need to be small in size for ease of parking, cheap to run and (increasingly important these days) be able to connect to your smartphone. 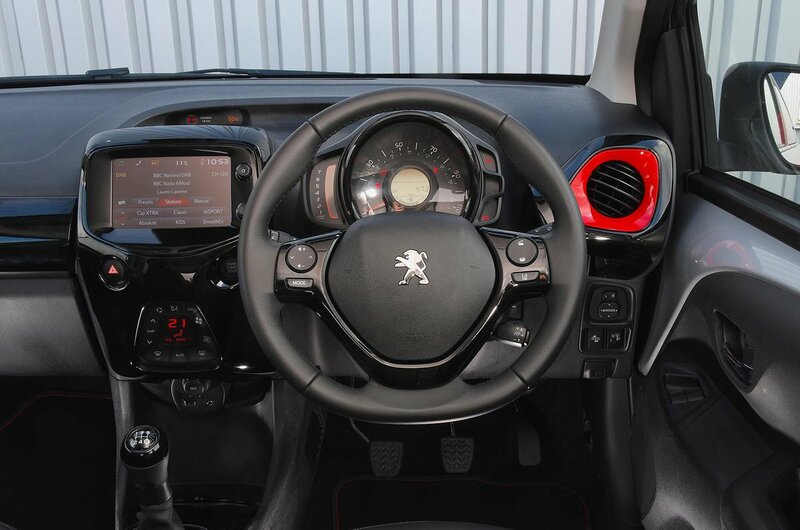 The Peugeot 108 is certainly dinky enough, its tiny petrol engines sip fuel and you can even connect your smartphone to the car’s 7.0in touchscreen on some models. The 108 shares a platform and engines with the Toyota Aygo and Citroen C1. It also competes with the other cute city cars such as the Volkswagen Up and the Hyundai i10. Performance is decent enough – even in its base 1.0-litre 68bhp form – when compared with rivals. However, if you need a bit more go, then there’s the 1.2-litre 81bhp three-cylinder petrol which has noticeably more zip, although it’s still quite noisy and needs to be thrashed to get the best from it. To drive, the 108 is agile enough, and its consistently weighted steering is a blessing. But, it isn’t the slickest of city cars to drive and the relatively short clutch pedal travel and lack of biting point feel can take some getting used to. You’ll also have to put up with plenty of road, wind and engine noise because the 108 isn’t blessed with refinement. The ride is a bit busy too at low speeds and is even unsettled by motorway expansion joints and concrete sections of motorway. Space in the front is fine, and you get some door pockets to store water bottles and there are even some large cup holders and space for phones just ahead of the gear lever. But, access to the rear is awkward (even in the five-door) because of a small opening and rear legroom is tight for most adults. The boot is also on the small side and is easily dwarfed by the likes of the Up and i10. You can at least get a full-size spare wheel beneath the boot floor which is good for this size of car. The base spec Access is a little spartan, but mid-range Active comes with all the equipment you’ll need such as air-conditioning, 7.0in colour touchscreen, DAB radio, Bluetooth and driver’s seat height adjustment. If you’d like to enjoy a bit of open-top motoring, there’s a ‘Top!’ 108 that has an electric reclining canvas roof that replaces the standard roof panel. It does suffer quite a bit of buffeting with the roof open once up to speed and you’ll need to close it again if you want to talk to your passengers.